When Nokia first showed me their Maemo Linux-powered N800 Internet Tablet, I told them it was cool but that, ideally, I wanted this exact product, smaller, and as a phone. Seems like two years later, this might finally be the way things are headed. "In the longer perspective, Linux will become a serious alternative for our high-end phones," Ukko Lappalainen, vice president at Nokia's markets unit, told Reuters. 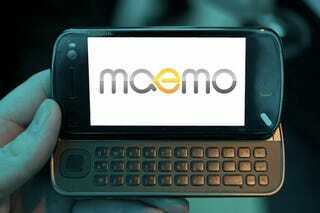 "I don't see anything in Android which would make it better than Linux maemo," Lappalainen said." These statements aren't necessarily a surprise, because with any mention of Linux, Nokians tend to shout Maemo like a reflex action. One thing that came to mind when playing with the new N97 is that it is pretty close to the Internet Tablet Phone I wanted—the desktop widgets heralded as a grounbreaking way for users to customize their phones are incredibly similar to what Maemo has had since the beginning, and the hardware is very similar to the current top-end tablet, the N810. The only difference is Symbian, of course—Nokia's prize horse that they won't be giving up on any time soon.